Fans of cryptocurrency Bitcoin are either hoping for enormous returns, or they value the virtual currency as a discrete, internationally accepted means of payment. But institutional investors and others are put off by its lack of regulation, high volatility and serious illiquidity. But it’s still worth taking a closer look at the whole phenomenon. Bitcoin is based on blockchain technology, which many experts believe could dramatically alter the internet, and with it our whole world. Blockchain technology allows users to store information extremely securely and anonymously online. Each piece of data is encrypted individually and then added as a new “block” to a register. These encrypted blocks of information are arranged next to each other in the register like links in a chain – hence “block chain”. A clever mechanism binds these blocks to each other very tightly: each block contains not only its own information, but also a reference to the previous block in the chain. This reference ensures that every time the blockchain is extended by a new block, the correctness of all the data in the blockchain is simultaneously rechecked. Bitcoin uses its own blockchain: all the Bitcoin transactions executed in a certain period are grouped into a block, which is augmented by a reference to the previous block, and then stored in the Bitcoin blockchain. Other information can be stored there too. Many observers believe the popularity of the cryptocurrency guarantees that the Bitcoin blockchain will endure for a long time to come. The register is publicly accessible on the internet and stored on servers, known as nodes, all over the world. If a new information block is added to a particular server, the register is updated accordingly on all the other blockchain servers on the planet. As described above, checking mechanisms ensure that all the data on all the nodes really is correct after each round of copying. Since the entire blockchain is stored on all the nodes, it is virtually impossible to change or delete information once it has become part of the blockchain. In fact, since its creation in 2008 the system has proved extremely resistant to manipulation. A vulnerability was exploited fraudulently in 2010, but following optimization of the blockchain protocol there have been no further problems. If you want to access your blockchain information, you need three things: the code that was generated when the information was encrypted, the location of the information within the blockchain, and access to a blockchain node. Paper and pen are enough for the first two, and node access is usually handled via a client – software or an app that is installed on your computer or smartphone. As an alternative, some clients use a web interface that can be called up on any internet browser. There are also applications that manage all the information together. This is very convenient, but entails a degree of risk. The full potential of blockchain technology only becomes apparent, however, when it’s not just “static” information (photos, text documents, etc.) being stored, but “smart” data. A good example of this is a “smart contract”, which includes a mechanism programmed to carry out a transaction, for example, as soon as a payment of a certain amount is received. Even more complex mechanisms are conceivable: a smart contract could monitor whether or not an agreement is actually honored, and then make or withhold the contractual payment accordingly. Such automated processes could ultimately also enforce sanctions if a contracting partner reneges on a contractual agreement. Equipped with such capabilities, smart contracts could themselves formulate and implement complex contractual arrangements within the blockchain without the involvement of a middleman. Blockchains are thus becoming interesting to anyone who does business globally. 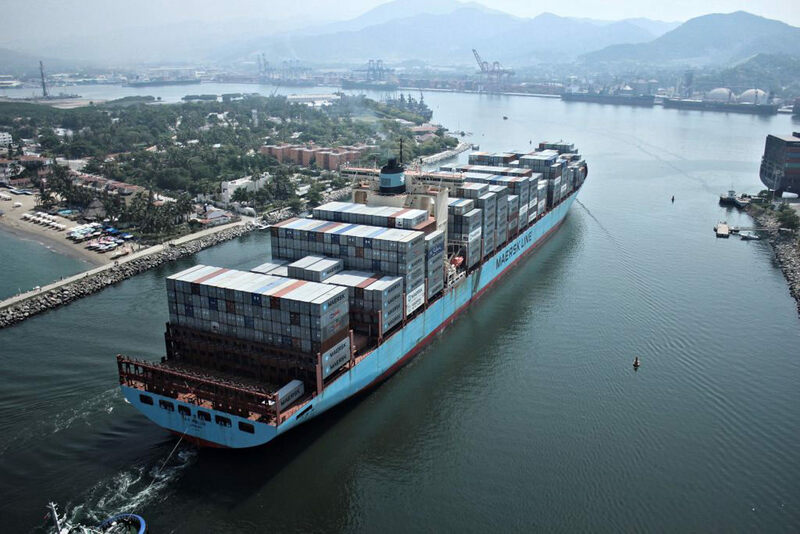 The shipping company Maersk, for example, uses blockchain to increase the efficiency of the management processes required for transporting containers. With blockchain technology, assets can be transferred within a few minutes, with no middleman and minimal charges. As a result, blockchain is already coming into focus as a rival to traditional banks that function mainly as providers of transaction services. Smart contracts also have the potential to capture even very complex financial relationships in the blockchain, meaning that they could in future play a major role in wealth management too. What has been missing so far are the tools that can reliably link digital blockchains with the real world. There’s no doubt about the potential; and wealthy people should keep an eye on how this technology, and the services that use it, develop. Before anyone tries out a new application, however, they should take a closer look at the following points if they want to ensure their move into the digital future is a successful one. Trust is built up in the blockchain through encryption and repeated checking of specific character codes. This mechanism has shown itself to be extremely secure and robust over several years of use. However, there is always a technical interface, such as an app or web application, between blockchain and user. These interfaces translate the data into information that we can actually use, and unlike the blockchain itself, these technological “middlemen” can be insecure. One such application, the digital wallet used to manage cryptocurrencies, has already been targeted by hackers. The security of blockchain applications should be measured by the robustness of the tool that mediate between you and the blockchain. Is the provider trustworthy? Does it already have a successful track record with similar products? Is security guaranteed by recognized certificates? All questions that you may want to discuss with your Wealth Manager. If you can enter into complex transactions, contracts and similar arrangements without needing outside help, you gain great independence, but also great responsibility for your own actions. Before taking on far-reaching obligations by yourself, you need to ask some questions, including: Who is responsible for due diligence? Who will arbitrate in the event of a dispute? Smart contracts can address both of these points to some extent, but you may be better off discussing them with an advisor who knows you and your situation, and who can speak for you if a dispute arises. 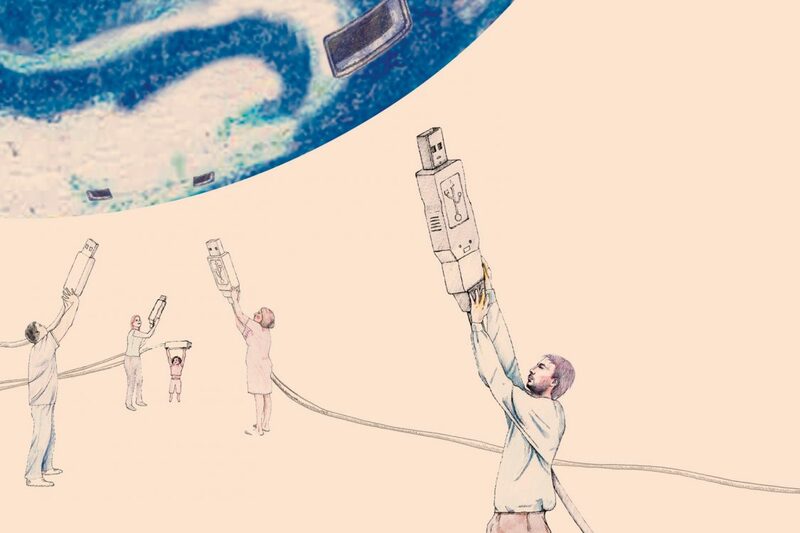 Many digital technologies have a short half-life, whereas issues that go down the generations need solutions that will endure for the long term. If you want to use digital means to organize key elements of your family’s financial situation, or plan for succession, you need to have long-term plans on the technology side too. One way of mitigating the risk is by storing the same information multiple times on independent systems – in two different blockchains, for example. Anyone taking advantage of blockchain’s lack of regulation and high level of confidentiality for legally dubious purposes could face a rude awakening: it is only a matter of time before financial authorities start regulating blockchain. And nobody should forget that information held within a blockchain cannot be deleted easily. As ever, it’s wise to stick to some basic rules to avoid exposing yourself or your assets to disproportionate risks. No one should be blinded by the hype surrounding Bitcoin, but the popularity of cryptocurrencies like Bitcoin proves the power of the underlying blockchain technology. Depending how the infrastructure and applications develop, wealthy people could in future not only do their banking on blockchain, but also more complex asset management tasks. It will still be important, however, to have a trustworthy, forward-looking advisor by your side to ensure all of this is done responsibly and in the interests of you and your family. Autonomy: Transactions and other arrangements can be executed without the need for external partners. Privacy: With no middleman needed, transactions can be handled more discreetly. Only the parties directly involved know what’s going on. Documentation: The blockchain stores encrypted documents on numerous different servers, making it virtually impossible to delete them. Access: The entire blockchain is stored on publicly accessible servers around the world, so it’s difficult to limit access to the information. Security: The correctness of the data is checked every time a new block of information is added to the chain.